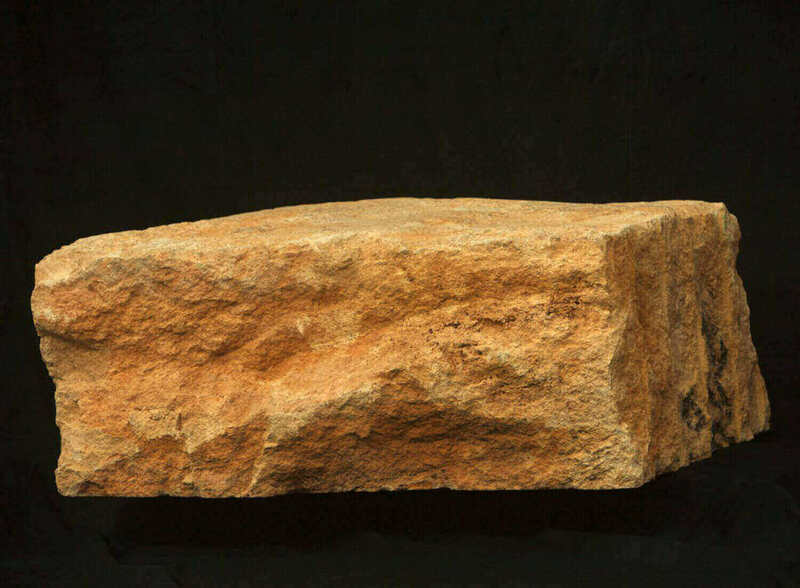 Stone Quarries differ in Geographical location. This particular quarry was dug into the ground. 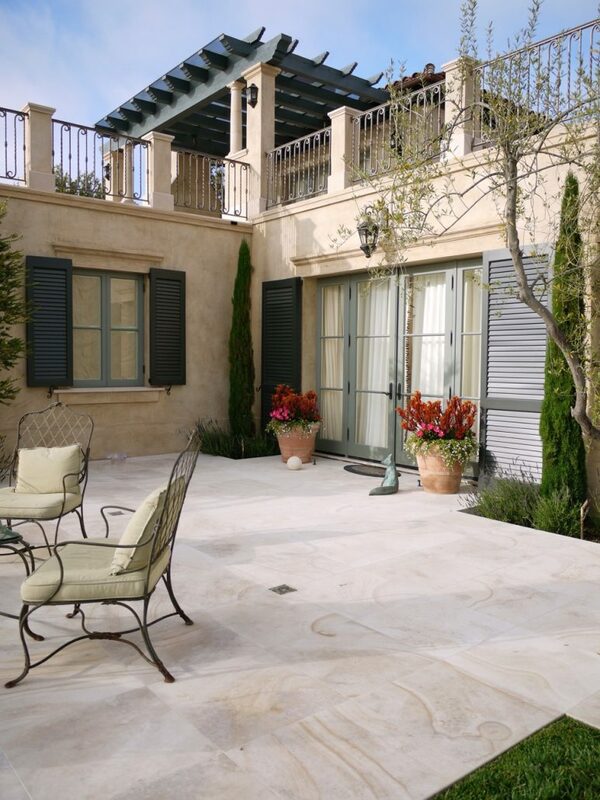 Other quarries we use for Architectural Stone products are dug into the sides of mountains. 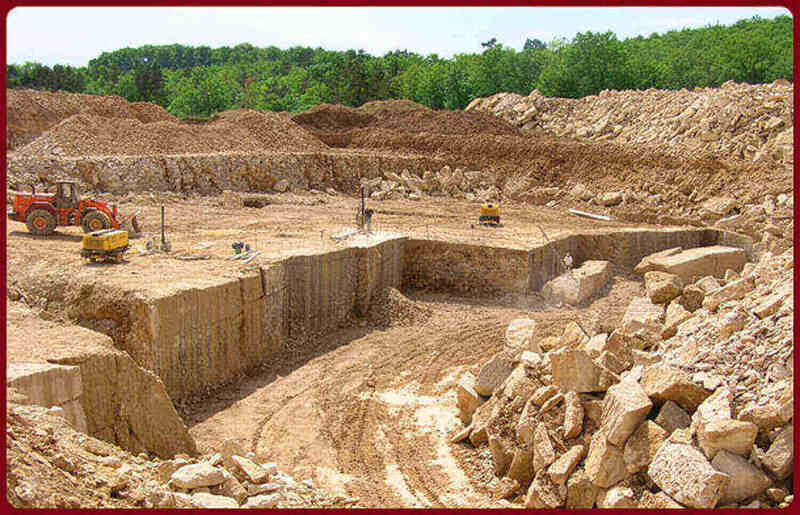 One can see the magnitude of the quarry by comparing it to the heavy machinery that is is used to escavate the stone. 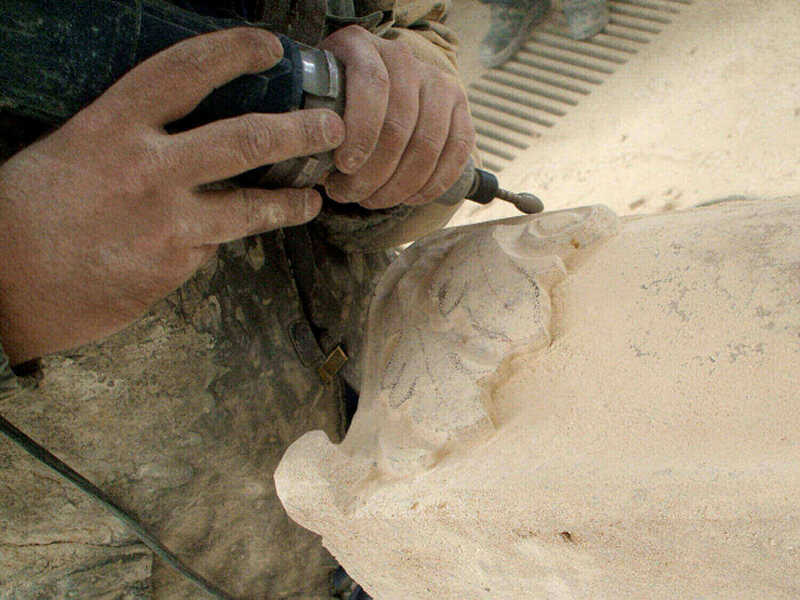 Our quarries are located in France, Italy, Spain and Mexico. 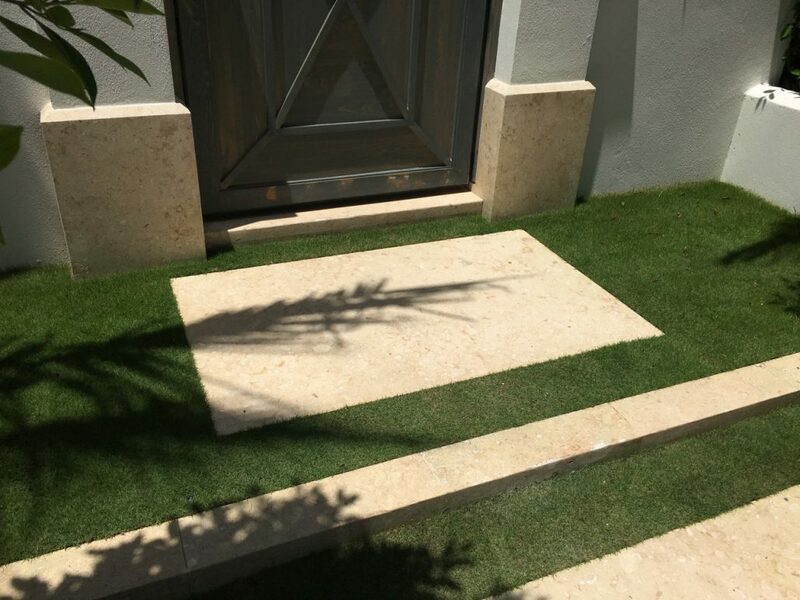 Although most of our stone comes from these countries, we have stone sources in Egypt, Israel, Turkey and Portugal depending on the material the client prefers. 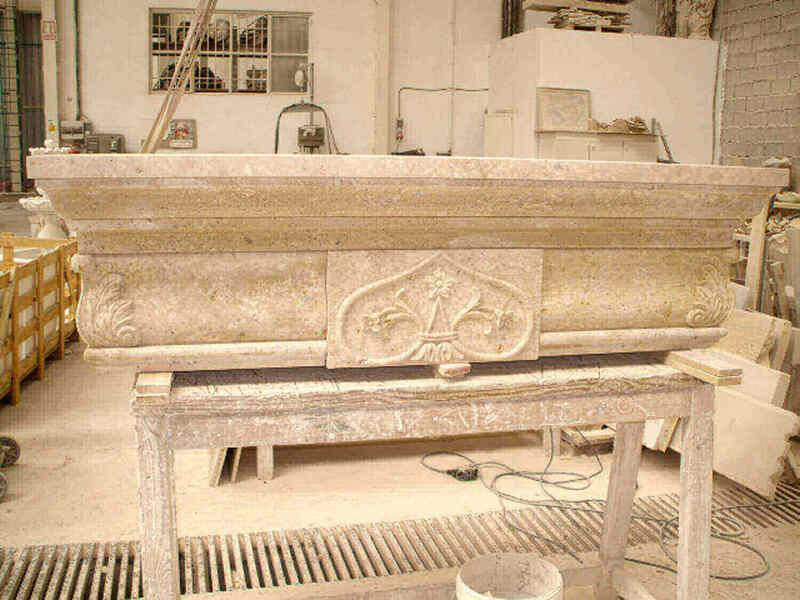 After the stone is excavated it usually arrives at our carving facilities as a raw block. Once the carvers know what they are using the particular block for, it is sent to the saw for sizing into the required sizes depending on the product being manufactured. 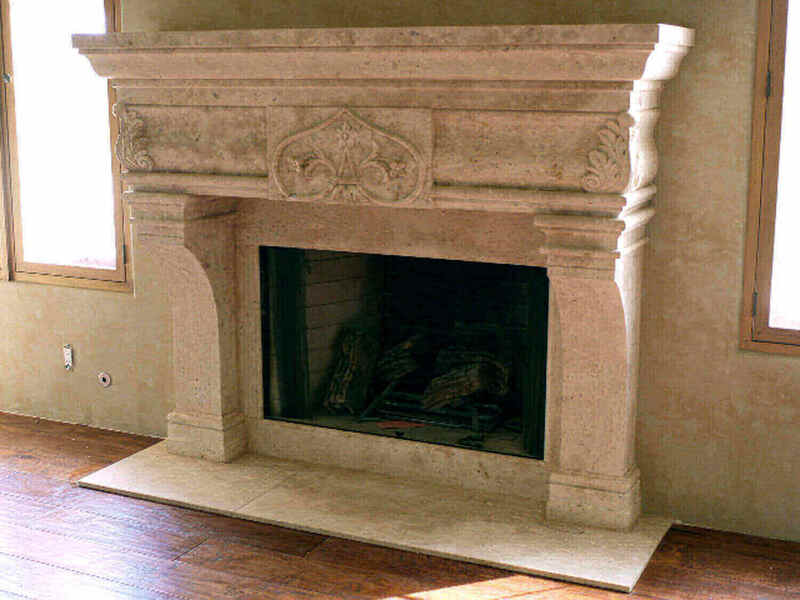 In this case, the limestone block was cut into smaller pieces to be carved in to a Fireplace Mantel. 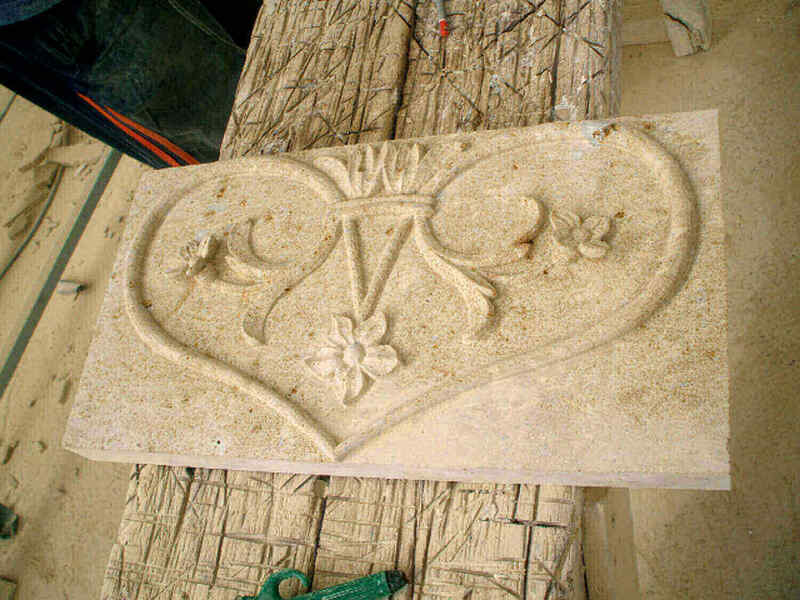 Once the craftsman has the block wirth the right size and shape, he then draws the particular design onto the stone with pencil before it is carved into a unique work of art.